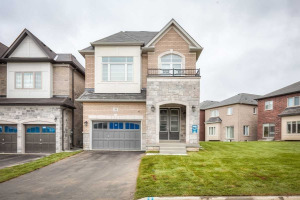 Stunning, Bright, Open Concept Newer 4 Bedroom Home In Sharon Village! Approx 2300 Sq Ft.$$$ Spent On Upgrades Like 9 Ft Ceilings W/ 8' Doors & Archway On Main Floor,3-Sided Fireplace, Hardwood Floors On Main & 2nd Floor Hallway, Modern Kitchen, Granite Counters With Breakfast Bar & Backsplash. Gas Stove, Stainless Steel Appliances. Spacious Master Bedroom W/ 4Pc Ensuite & Glass Shower. 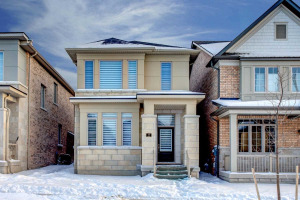 Close To Schools, Parks, Hwy 404, Go Station And Many Amenities. Price To Sell !!! Oak Staircases With Wrought Iron Pickets.Samsung Stainless Steel Kitchen Appliances. Fridge, Gas Stove, Dishwasher. Washer & Dryer On Main Floor.